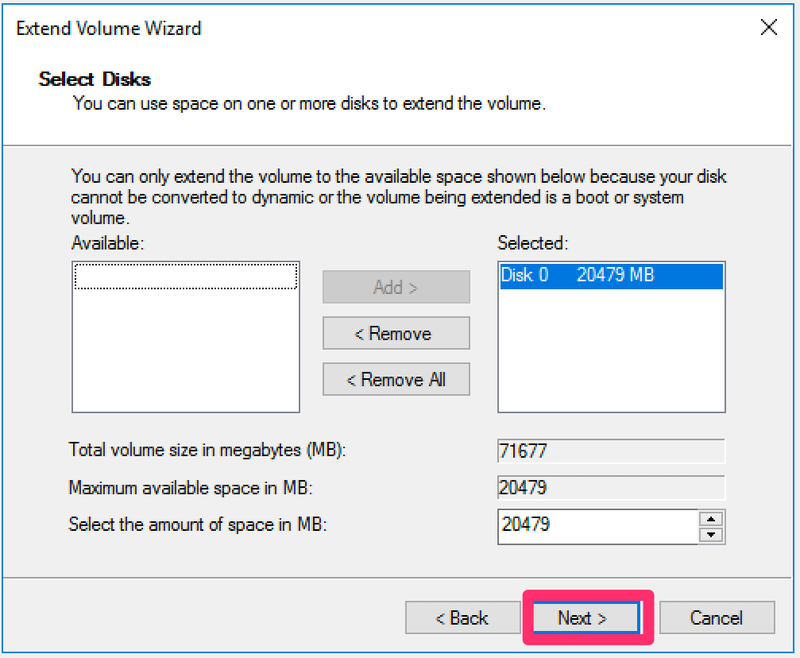 Adding Disk space in the server resources module. When ever you add hard drive space to an existing disk, you always have to log in to the server and expand the disk manually. Adding the storage makes it available to the disk but doesn't add it to the volume. Below are the steps on how to do so. Log into server with your Domain Admin account. - Right click on the Windows Logo on the task bar and choose "Disk Management"
3. On the bottom you'll see the volumes and the space you added in black. Right click the active volume and choose "Extend Volume". 4. The extend volume wizard welcome screen will pop up and hit "Next". The second screen will ask you by how much would you want to extend the volume according to the available unallocated space. If you want to use the full amount you allocated then leave as is and hit "Next" and "Finish" on the summary page next. If you would like a custom amount, then edit to your choosing and hit "Next" then "Finish"
5. You'll now have the volume occupying all the allocated space with no unallocated space left (Black Portions).